It’s the final week of my 12 week series of The Summer of Salads. 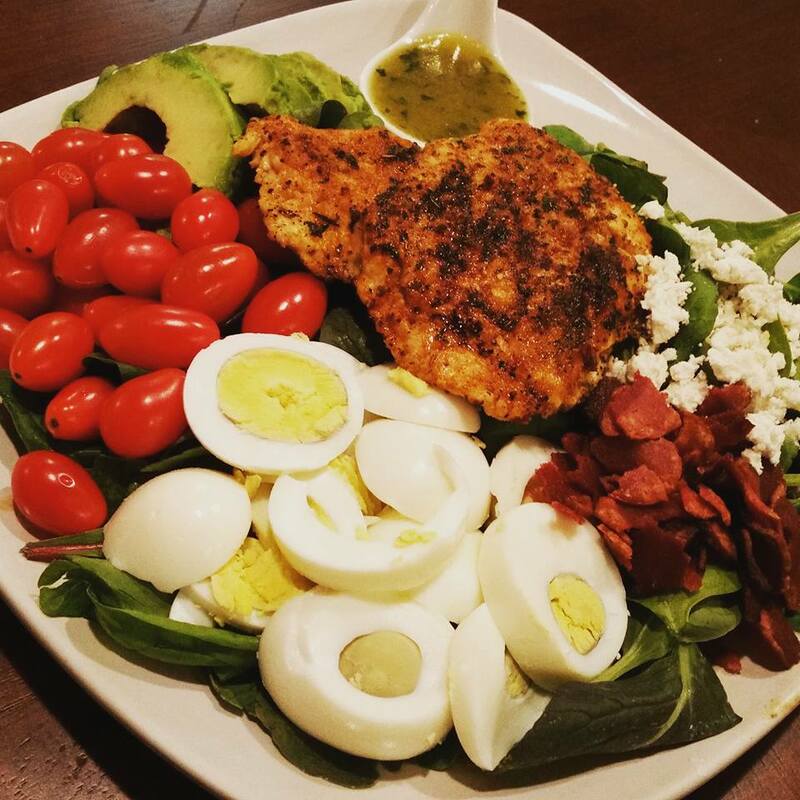 Featured this week is the California Cobb Grilled Chicken Salad over Power Greens with a Honey Jalapeno Vinaigrette. •In a jar, mix and shake well all of your dressing ingredients. Refrigerate for 15 minutes. •Spray the foreman grill with olive oil cooking spray. •Cook for 4 to 5 mins on both sides or until done. •If in the oven, bake the chicken on 350 degrees for 15 minutes or until done. •Let it rest for a few minutes before you slice it against the grain. Set aside. •Cook the turkey bacon according to the package. Let it cool off, crumble it into pieces and set aside. •Boil eggs 15 mins on medium high once the water comes to a boil. Let it cool. Peel and slice. Set aside. •Open and core the avocado. Scoop out one half with a spoon around the edges. Cut it into slices. Set aside. •Place the power greens upon the plate. •Top it with the chicken and place the Feta cheese, turkey bacon, tomatoes, eggs and avocado around the plate. Previous postWill Run for Chicken!